In terms of new projects, things continue to be booming for the construction industry. A study conducted by the industry group Associated General Contractors of America revealed that industry project spending in May of 2015 was at its highest level since October of 2008. The study showed steady recovery and significant gains over this seven year period, which is also good news. Project gains were seen all across the sector, from residential and non-residential buildings, to construction projects both public and private. The construction industry's experiencing a good recovery and setting records in the process? What's not to like about this report's news? How about the fact that this upsurge may not be sustainable? And the reason for that is not a lack of current or upcoming projects, but the fact that there are not enough qualified employees to work on them. The biggest upswing in construction projects is in the form of private non-residential ones, and the study indicated that the trend seemed likely to continue through 2015. Gains here showed an almost ten percent increase in spending on new projects from April through May of 2015, and a slightly over ten percent increase in spending on new non-residential projects from May 2014 through May 2015. New residential private projects got a boost during this same time frame as well. Private home building saw an almost four percent increase from April through May of 2015, and a almost eight percent one for May 2014 through May 2015. 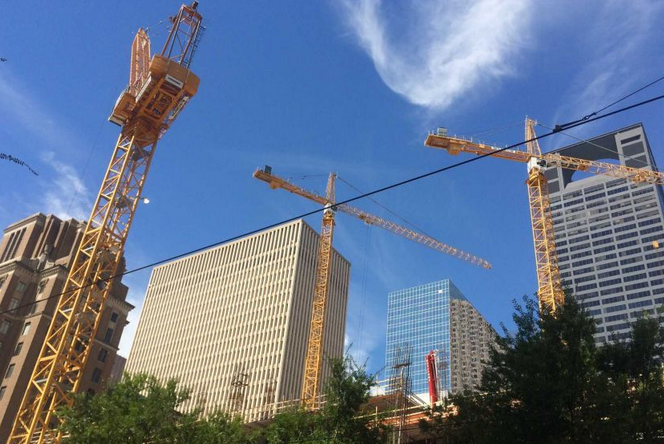 Public construction project growth was a bit slower, with a almost eight percent new project growth rate from April 2015 through May 2015, and a almost three percent growth rate for the period covering May 2014 through May 2015. Interpreting the results of the A.G.C.O.A. study, the organization's chief economist Ken Simonson stated that continued project gains were certainly possible. However, such continuing growth hinged on whether or not construction firms could fill jobs with qualified works. If not, such growth will slow down, and areas that Simonson sees as especially problematic are in the construction of manufacturing sites, private office and apartment buildings, and hotels. Recreational site and amusement park building could also adversely be affected due work slow down as a result of worker shortages. A.G.C.O.A. 's solution? More involvement on the part of Federal, state, and municipal governments in the funding and establishment of career and technical facilities to train future workers. The organization also encourages immigration reform to attract overseas qualified construction workers. Otherwise, the study authors warn, there may be plenty of money in future to begin new projects, but no one actually available to work on them.